Truth or Square is a 3D platformer developed by the genre (and license) veterans at Heavy Iron Studios. 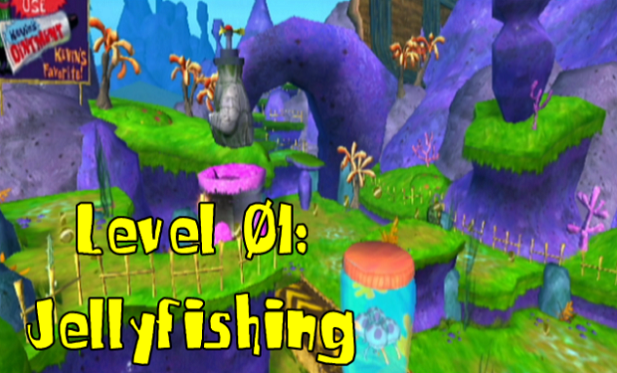 With both Battle for Bikini Bottom and The Movie Game under their belt, the third SpongeBob title is sure to be splendid, right? Well, it's not bad. Playing almost exactly like a dictionary sample of "linear 3D platformer", Truth or Square is exceedingly average, and averagely fun. This Let's Play hopes to answer such questions as, "Just how unoffensive can you possibly make a game? ", "Is there anything surprising here or is this like, the whole thing? ", and "Has anyone ever really gotten these hidden collectibles?" On the less neutral side of things, the game actually does an excellent job of celebrating the history of SpongeBob, which is what the TV special of the same name was supposed to be for. The game does it better by a mile, so if you actually like early SpongeBob then that probably makes this a lot more worthwhile.